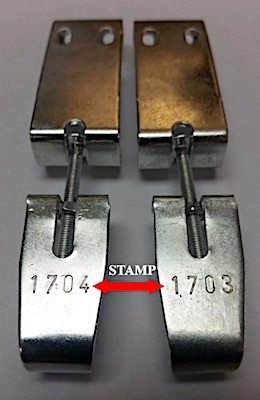 The US Consumer Product Safety Commission (“CPSC”) reports this recall involves various types of Mirrors, Art and Wall Decor sold with adjustable j-hook hanging hardware. 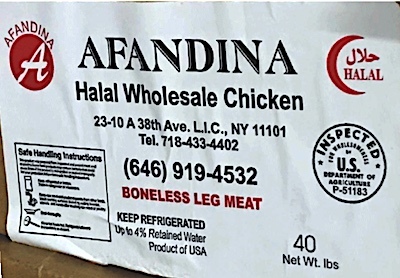 US/Washington: Afandina Halal, a Long Island City, New York establishment, recalls an undetermined amount of Raw Poultry products due to suspected production, packaging and distribution without the benefit of federal inspection, all serious health hazards. Canada/Ottawa: Bed Bath & Beyond Canada L.P. doing business as Buy Buy Baby, a North Vancouver, British Columbia establishment, recalls an estimated 130 Ellen Degeneres branded Coveralls with Cap due to suspected component detachment and consequential risk of choking, oral injury, internal ingestion and GI tract laceration damage, all serious health and safety hazards. Health Canada/Santé Canada (“HCSC”) reports this recall involves Ellen Degeneres Pink Striped Coveralls, sold with a cap.